Israel's fleet of advanced stealth fighter jets to grow to 5, with more to follow. 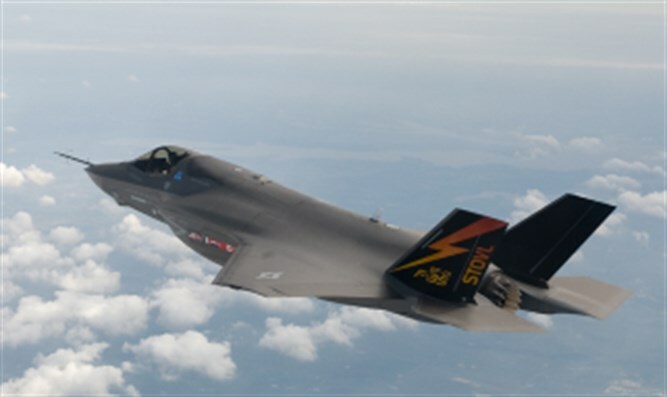 Israel is to take delivery of three more F-35 stealth fighters from the United States on Sunday, adding to two which arrived in December, an army statement said. They are among 50 that Israel has agreed to buy from aerospace giant Lockheed Martin. US President Donald Trump has publicly upbraided Lockheed over "out of control" costs of the plane, the most expensive in history. The company has said it will bring down the price in the future. While other countries have ordered the planes, Israel -- which receives more than $3 billion a year in US defense aid -- says it will be the first outside the United States with an operational F-35 squadron. Israel is buying its first 33 F-35s at an average price of about $110 million (103.5 million euros) each. Israeli components will be integrated in the aircraft, which will be known as the F-35I. The single-pilot jets can carry an array of weapons and travel at a supersonic speed of Mach 1.6, or around 1,200 miles per hour (1,900 kilometers per hour). The pilot's ultra-high-tech helmet, at a cost of some $400,000 each, includes its own operating system, with data that appears on the visor and is also shared elsewhere. The two F-35s delivered in December landed around six hours late after being delayed by bad weather in Italy, believed to be fog. A Lockheed official said the holdup was caused by Italian air safety regulations, rather than any limitation of the planes, but this did not stop jibes. "Here's hoping we only go to war on sunny days..." one Israeli joked on Twitter.